Content is the bricks of your website, add content to the page and create your own website. Click button for insert new content. You can enter texts, images, forms, forms and pngs, menus (navigation bar), rotating images, photogallery, vertical and horizontal menus, buttons, videos, Google maps, pop-ups, tables, files, html code, scrolling text, social network links, newsletter and clock links. 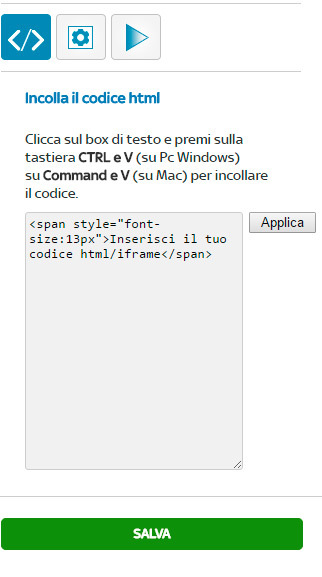 Click Contents button on left menù. Then click the PHOTO button to insert an image. In our case the image is the LOGO. On the template appears an image, click the arrow button in the corner top left of the image and load the Logo from your PC. Logo is an image in your PC, usually a jpg, gif or png file. Click the PAGE button in the left menu. The list of pages present is opened. Click the Horizontal Menu button. Move the menu position and resizes the menu as you did for the logo, dragging the balls on the menu margins. To access the editing options for each content, you need to right-click on the content and click on the button Options on the menu that appears. You can change many menu values from the Options menu. Size, pages to display, color, text fonts, etc. Use values Width and height to define the size of the menu. Check the checkbox width 100% to get a wide-screen menu (optional). Check the checkbox Centered to automatically place the menu at the center of the page. Check the checkbox Fixed position in the case of a page with full-screen images where necessary set a fixed position of the menu that is valid for all resolutions. Continue to change the menu settings by customizing the background color, color, and fonts of texts (page name), creates a spacer between pages, edits edges, creates shadow, and so on. Always remember to click the button Save so you do not miss the changes made. You can complete your Header by entering, in addition to the Logo and the Menu, rotating images. Click the Content button in the left menu. Then click the SLIDESHOW button to insert rotating images. Now upload the image from your pc. Click on the arrow buttons in the upper left corner of the image and proceed to the upload. Repeat the procedure for all the pictures you want to include in the slideshow. After uploading the images you can crop them to get a correct view of the image. Click the RETURN button use the buttons and To zoom in or out of the image, drag it with the mouse to change the position, then click the APPLY button to complete. To crop other images, click the Crop button and scroll with the left buttons < and right > to change the image. Wait for uploading the new image to make the changes. Often slideshow images are displayed across the screen width. To get this result you need to access the options. Right-click on the image and access the options. In the menu that appears, click the OPTION button. In the left menu, you will see all available options to edit your slideshow. You can change the size of the Slide with the Length and Height values. To make the image occupy the entire screen horizontally, check the checkbox Width 100%. Add text to your website. Click the Content button in the left menu. Click T button to add a Text Content to the page. Position the text where you like, change the size as you like. Click the T button to access the word formatter, with which to edit the text and formatting. After you've typed the text, click Save to confirm the changes. 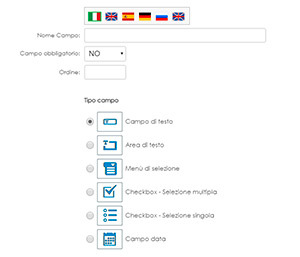 The text can be entered in all the languages on the website. Add a form to your website. Click the Content button in the left menu. Click the button to add a Form Content to the page. Position the form you prefer, change the size at will. 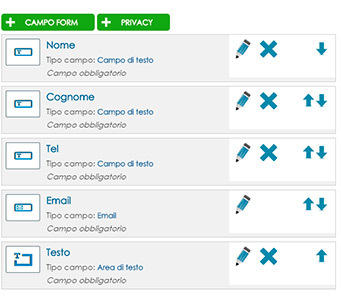 Access the Options to manage the background, edges, and colors of the form, colors, fonts, and text and input fields. Click the button to access form fields management. Enter, edit, and move order forms fields. You can create input fields, checkboxes (multiple selection), radio (single selection), drop-down menus, text areas, and date fields. The email sent from the form will be saved in the Notifications section of the CMS and delivered to the mail linked to the website. Add a photogallery to your website. Click the Content button in the left menu. Click button to add a Photogallery Content to the page. Position the photogallery where you like. Access the Options to manage the number of viewable photos, the number of photos per line, the size of the photos, borders, backgrounds, etc. Click button on each single photo to change the photo. 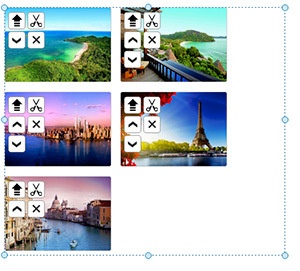 Click button to make a multiple photo upload in the gallery. Click button to move order pictures. Click button to delete a photo from the gallery. Add Html code to your website. Click the Content button in the left menu. Click button to add a Html Code Content to the page. Through this content you can import on the iframe or white label website of the tupo suppliers, links to other websites or social networks or any other html code. Position the Html code where you like. Add a Box to your Website. Click the Content button in the left menu. Click button to add a Box Content to the page. Position the Box where you like. Access Options to Manage Background, Edge, Size, etc. 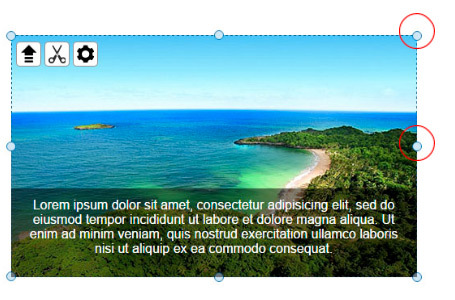 Use the box to build parts of the template, for example you can use the box as a menu background, apply opacity to use the box as the background of a text, or you can create a column. 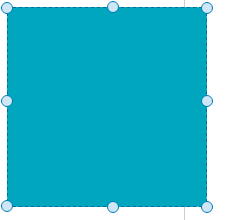 Apply rounded edges to create a circle. Take advantage of the box as you believe in the realization of your page. Add a Downloadable File to your Website. Click the Content button in the left menu. Click button to add a File Content to the page. Position the File you want. 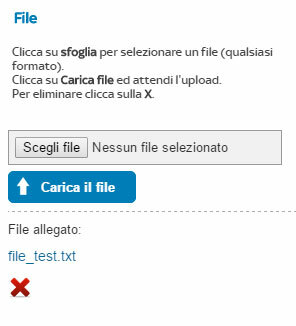 Access the Options to manage the file to upload (image). Select the file from your PC, click on "Upload file" and wait for upload times. You can also manage the icon and the font of the text.